Content is easy. If you are following the creeds of TKE, you will have no shortage things to talk about. Now tell your story. TKE is happy to provide this amazing marketing tool to each active chapter, colony or alumni association in TKE Nation. Why is it so difficult to break down the barrier with faculty to discuss what it means to be in a fraternity? Frater Rogers discusses our options. Stay safe this semester by following the eCompliance guidelines. Complete yours today. 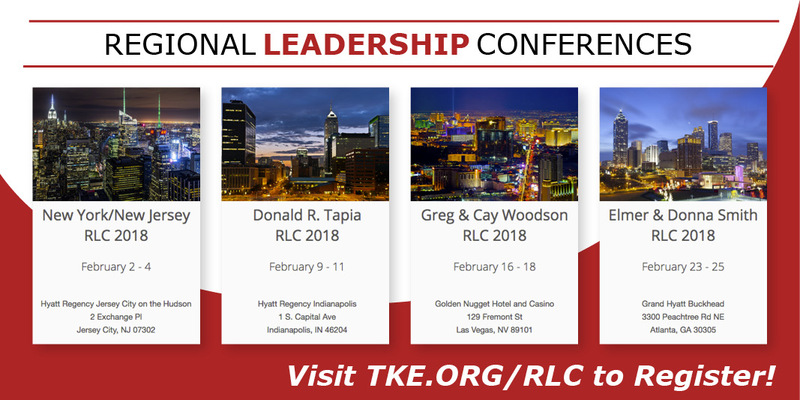 Registration is now open for the 2018 Regional Leadership Conferences. Register before 12/11/17 for the best rates.